Mary Vander Leest in Mary à la carte. Photo by Brooke Nelson. 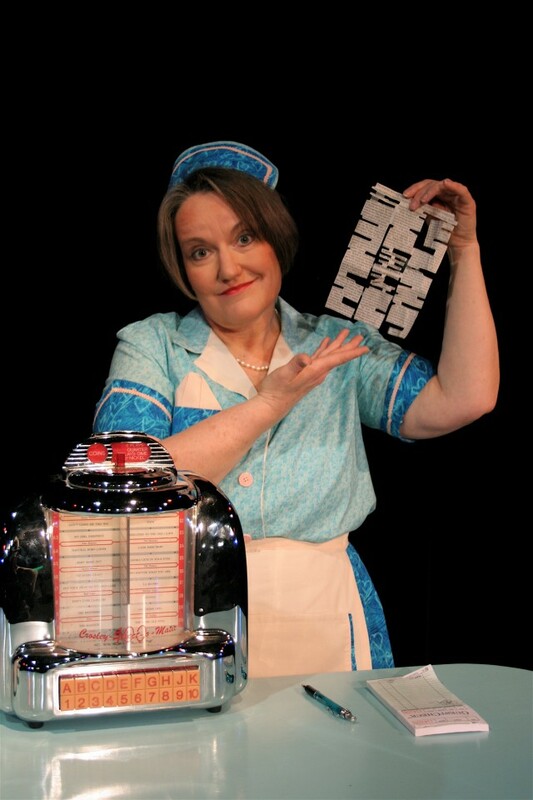 Lavender Magazine had the opportunity to catch up with Mary Vander Leest, the star of the one-woman show, Mary à la carte. Written based off her personal family memories, Mary à la carte explores the joys and embarrassments of lively family life. Mary is just as vivacious when talking about her work as she is when she tells stories about her brief stint on “Wheel of Fortune” or mother’s experiences with pot. Mary à la carte runs through April 15 at Hennepin Theatre Trust’s New Century Theatre, so make sure to catch it while it’s still hot! 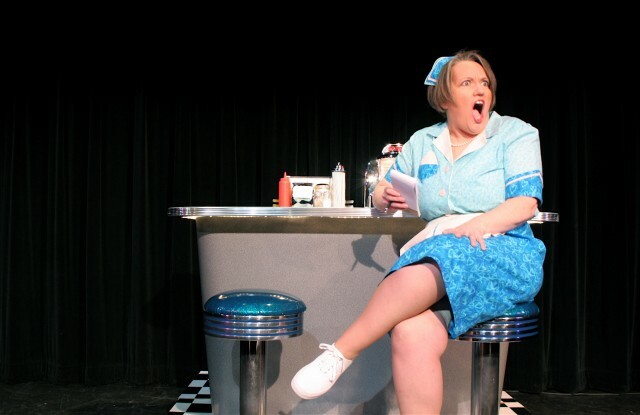 Lavender Magazine: In your play, Mary is a waitress that serves up comedic stories based on what the audience members “order.” What made you decide to make Mary a waitress? Mary Vander Leest: I knew I wanted the show to involve the audience. At first I thought being a teacher in a classroom would work, but the more I realized I had this amazing “menu” of stories, it became clear that a waitress was the way to go. 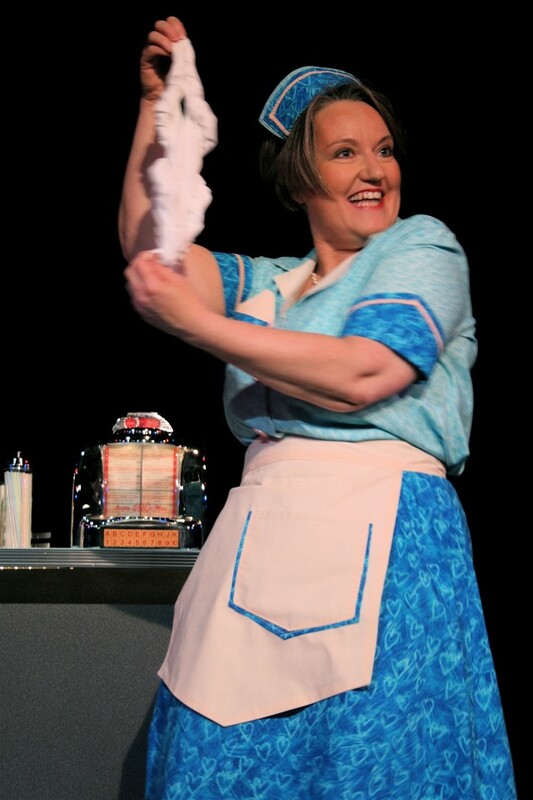 And, I get to wear a fun, custom-made retro waitress costume. It really helps me become the character. LM: How did you go about choosing which stories to include from your extremely colorful life? MVL: Just telling people I was once the Wisconsin Maple Syrup Queen gets a laugh, so that one was destined to be in the mix. Hearing about my naïve mom engaging two guys smoking pot is comedy gold in my family. And accidentally outing my brother at the extended-family Christmas dinner? Come on…who HASN’T done that? LM: What has been the most rewarding part of creating your own show? MVL: I’ve had an ear for comedy all my life. Starting at age 5, I used to study comedians on TV and recordings and memorize my favorites’ best bits. After all these years, to have written and be able to perform my own material has brought a childhood dream full circle. LM: How does your family feel about being the subject matter of your play? LM: What do you hope people take away from the play? MVL: That normal families are crazy, and crazy families are normal. If people see their own relatives in my show and it makes them remember and share their best stories, that would be great. Oh, and sore face and stomach muscles from laughing… I hope they take that away, too! Tickets may be purchased in person at the New Century Theatre, online at HennepinTheatreTrust.org or through Ticketmaster by calling 1.800.982.2787 or visiting a Ticketmaster Ticket Center. Note: Tickets are not being sold at the State Theatre Box Office.